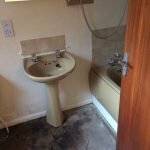 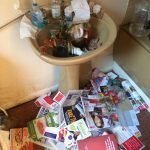 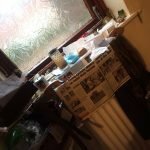 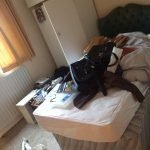 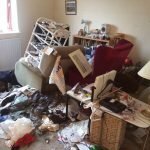 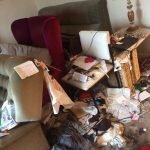 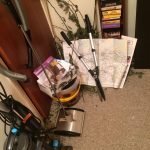 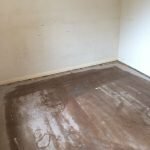 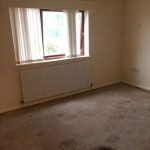 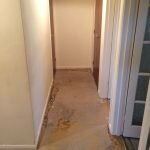 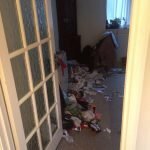 House Clearance Service In Auldburn Glasgow Blochairn Botany Braidfauld Bridgeton Broomhill Budhill Calton Camlachie. 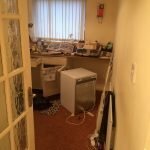 I am working with a client in Auldburn – Glasgow who is being moved into residential care, we are looking to have her two bedroom house cleared over the next week, there is not a lot of items, i wouldn’t describe it as cluttered, both bedrooms have furniture, the living room has the basic amount of furniture and all of the appliances are still intact in the kitchen, could you also provide a quote for a clean afterwards. 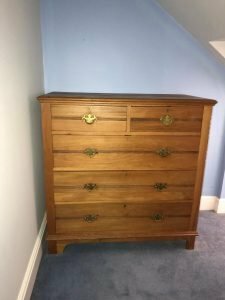 A vintage solid oak large chest of drawers, having two small over three large drawers, each with brass handles. 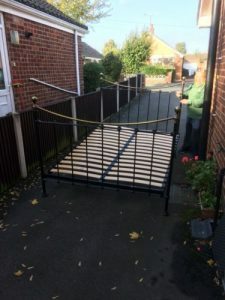 A black and gold four poster cast iron king size bed frame. 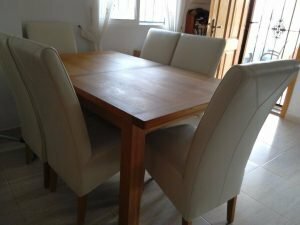 A large solid oak rectangular dining table, together with six high back dining chairs, upholstered in cream faux leather. 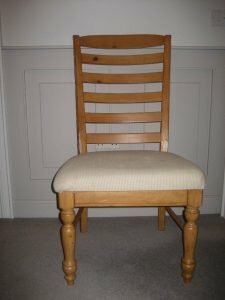 A solid American oak ladder back occasional chair, upholstered to the seat with cream corded fabric. 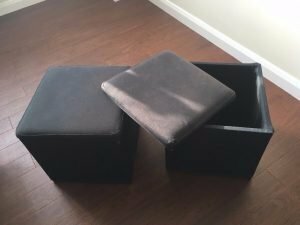 A pair of square storage footstools, upholstered with dark grey fabric. 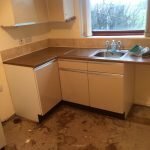 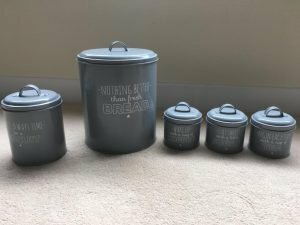 A set of grey kitchen accessories, to include a bread bin, a biscuit tin and tea, coffee and sugar canisters. 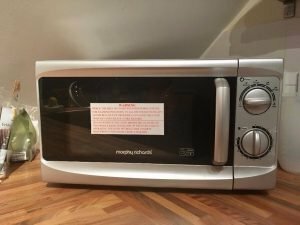 A brand new silver Morphy Richards 600w microwave oven. 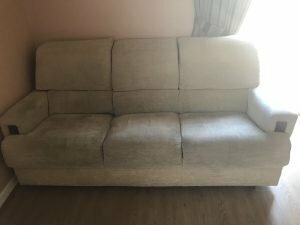 A three seater high back reclining sofa, upholstered in cream chenille fabric. 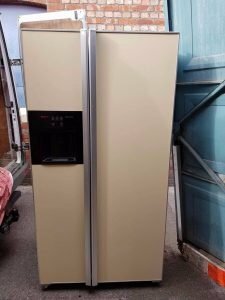 A cream Neff American style two door fridge freezer, with built in water and ice dispenser. 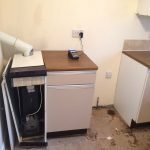 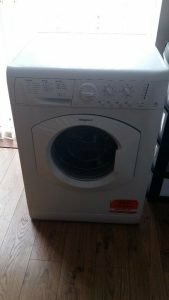 A white Hotpoint 1200 spin 8kg under counter washing machine. 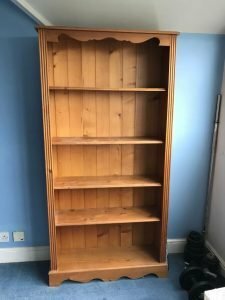 A tall standing scalloped edge solid pine shelving unit, having four removable shelves. 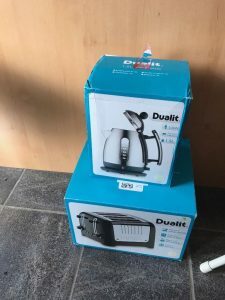 A brand new boxed Dualit stainless steel kettle, together with the matching four slice toaster. 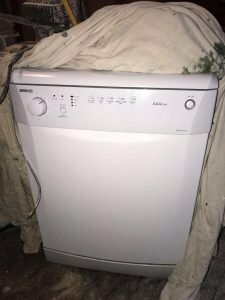 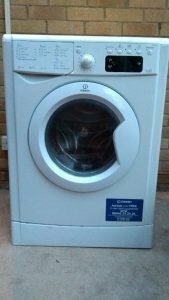 A white Indesit IWDE7168 7kg under counter tumble dryer. 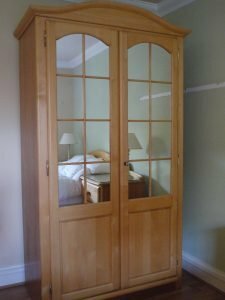 A tall standing Barker & Stonehouse solid oak mirrored two door wardrobe. 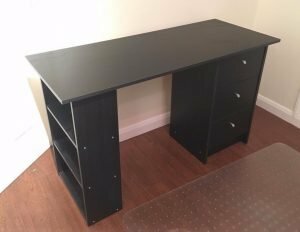 A black flat pack wood desk, having three drawers to the right side and three shelves to the left.